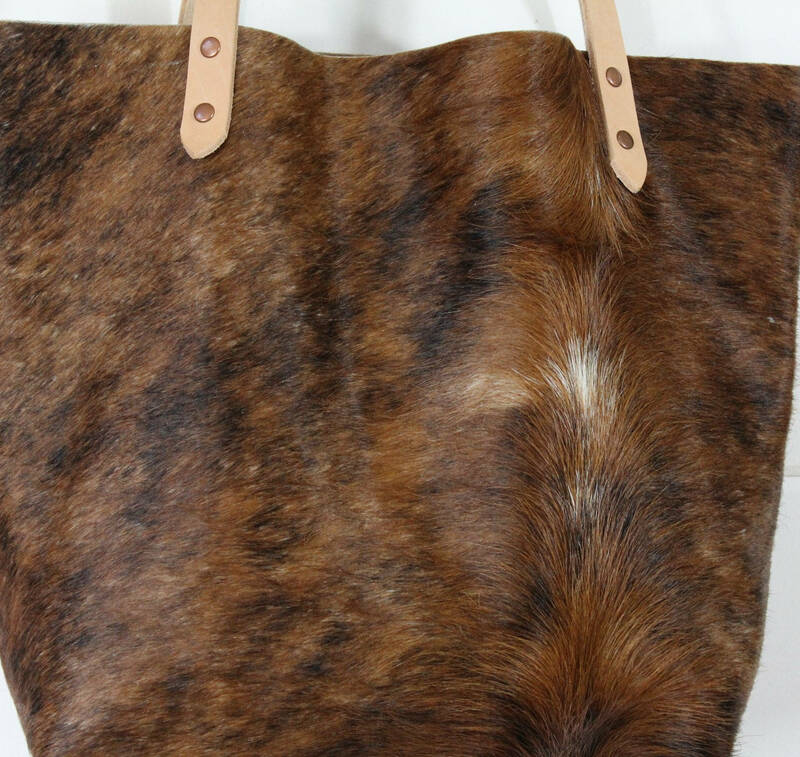 The leather used to make this tote is a Hair On Cowhide + Solid brown Cowhide Leather. 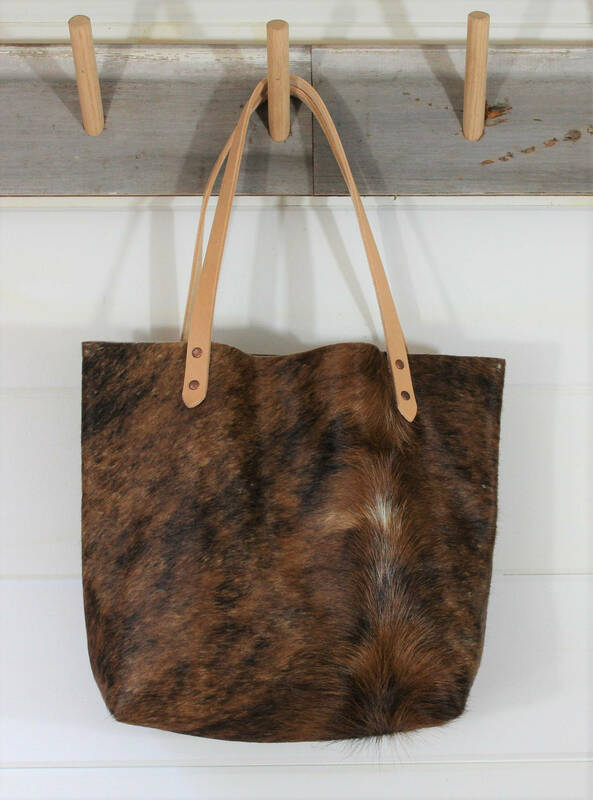 The front of the tote is the Brindle Cowhide pattern with the back having the solid brown leather back. 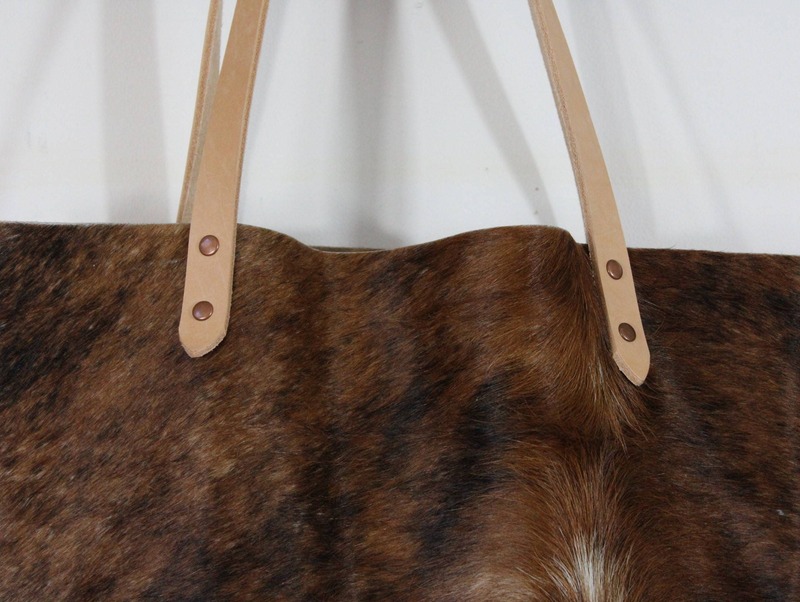 The solid leather has a great almost nubuck feel to the finish. 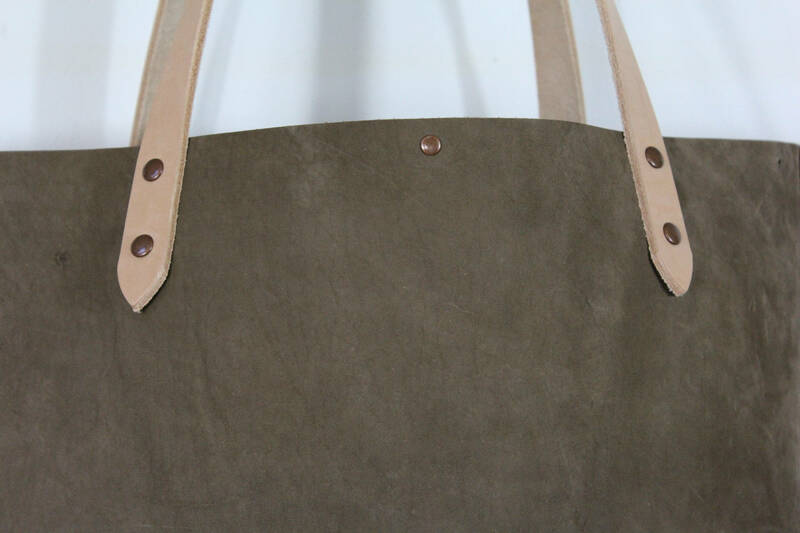 The bag is very sturdy and durable and is secured with antique copper rivets. 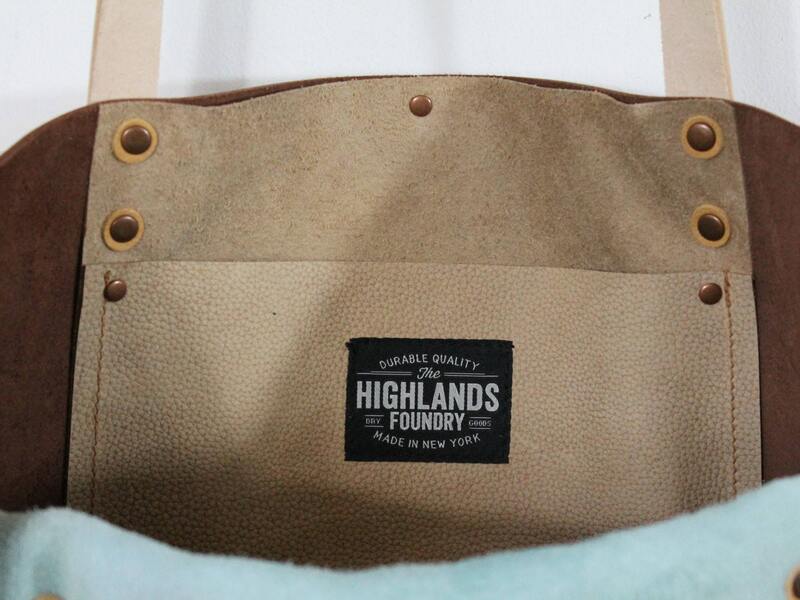 There is an interior leather pocket secured on the copper rivets and deerskin washers. 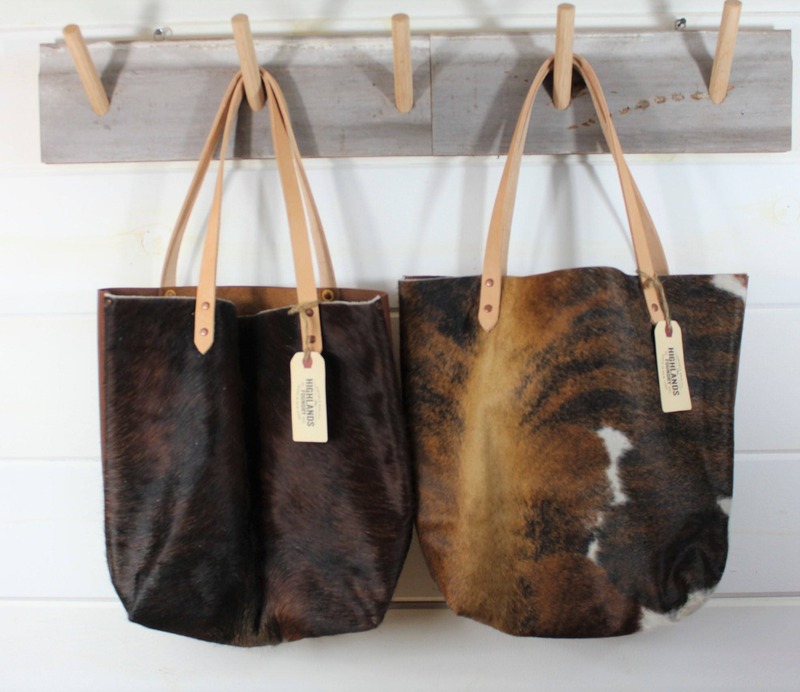 Each Cowhide pattern is unique and varies by each tote. 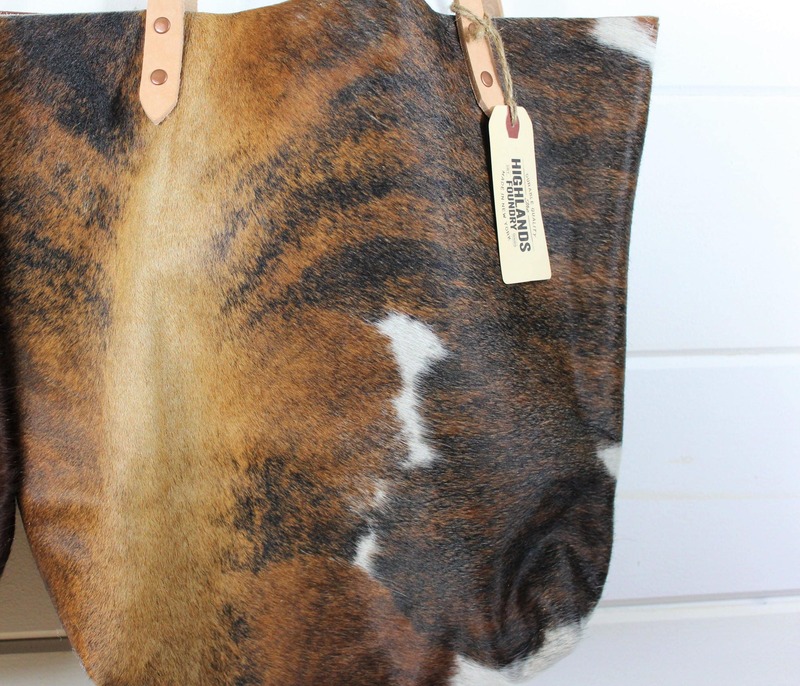 I have enclosed several photos to show the range of pattern. Please contact me if there is a particular one you like. 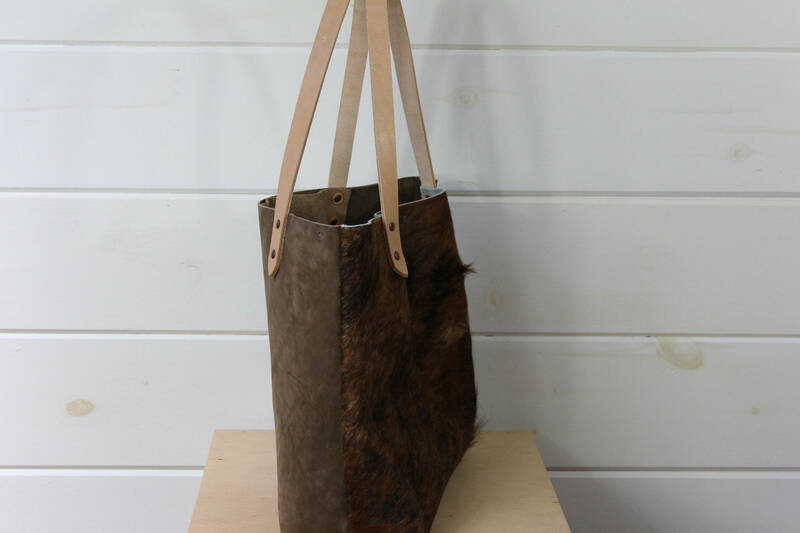 The straps are vegetable tanned 8 0z. 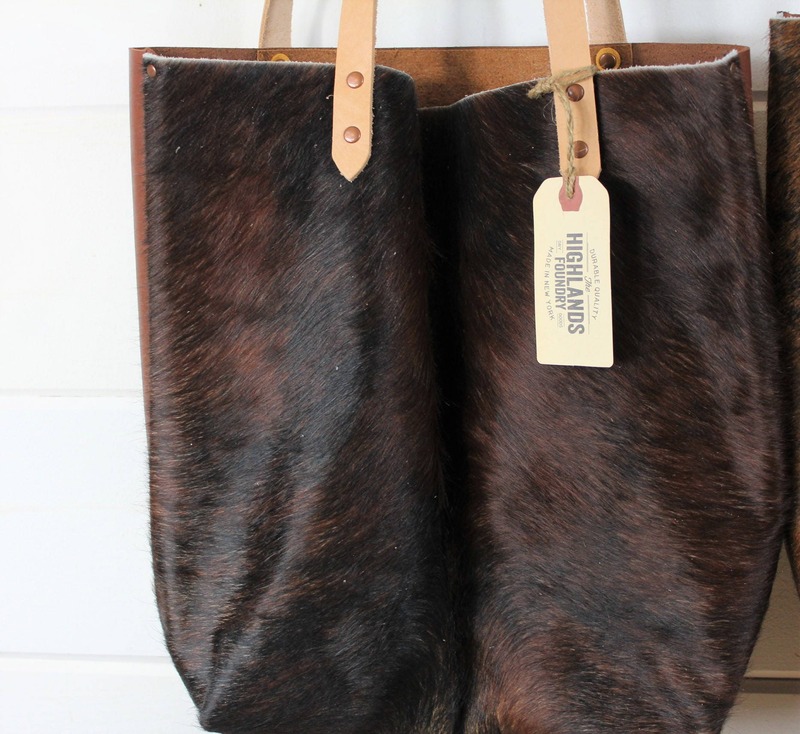 leather and will continue to patina and darken with age. 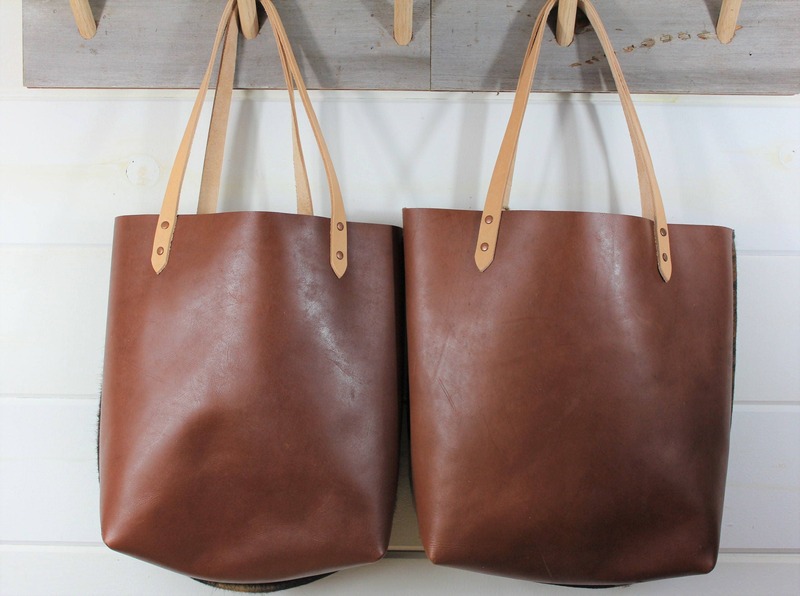 They are secured with antique copper rivets.